In a small, African village, an elderly woman eagerly tells a Bible story to a group of young onlookers. It is a new morning in Zambia and preschool is beginning. But this elderly school teacher has not always had smiling faces to look upon. 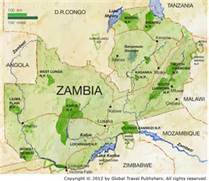 Her nation, Zambia, in southeast Africa, is set on a plateau with 70 percent of the population living in extreme poverty. 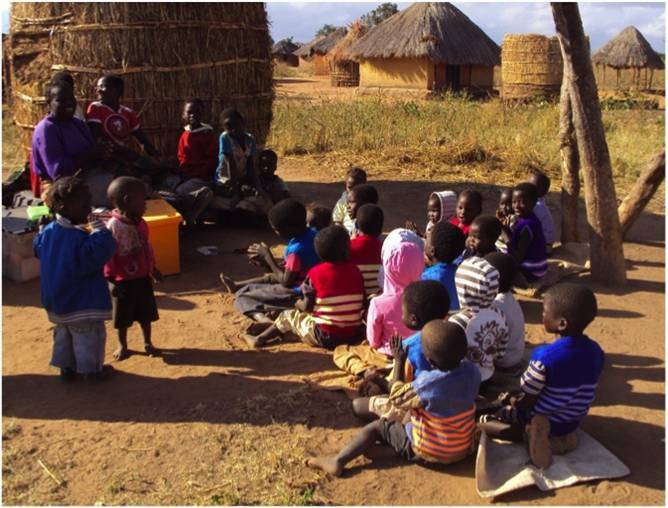 In Zambia, HIV/AIDS is rampant and the life expectancy is only about 40 years. Additionally, 30 percent of the population is illiterate, and many children grow up never having the opportunity to go to school. 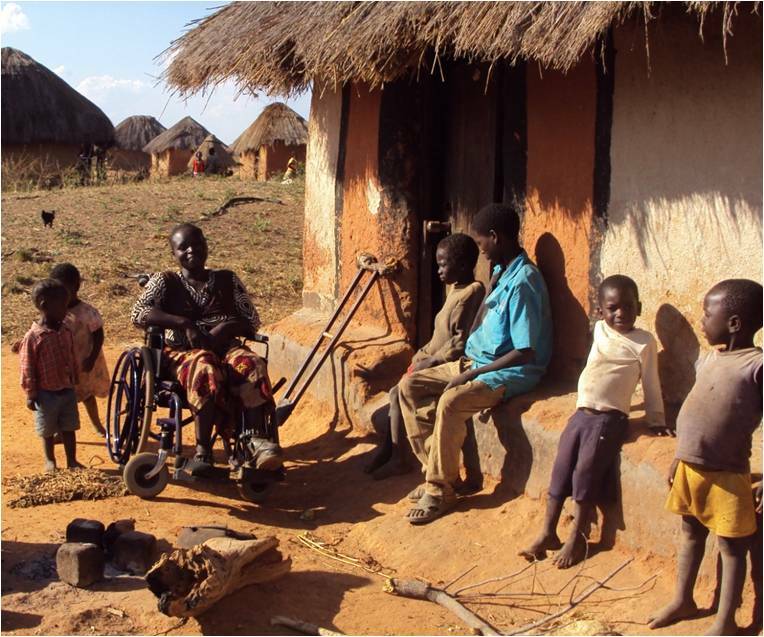 As a resident of a rural Zambian village, life is difficult for this elderly lady known as Mama Ester. A disability causes her to use a crutch and she often has to sit in a wheelchair. However, three years ago, hope came to Ester in the form of a missionary who befriended her. When she realized that Ester was one of the few people in the village who could read, the missionary encouraged Ester to begin a preschool for the young children of the village. 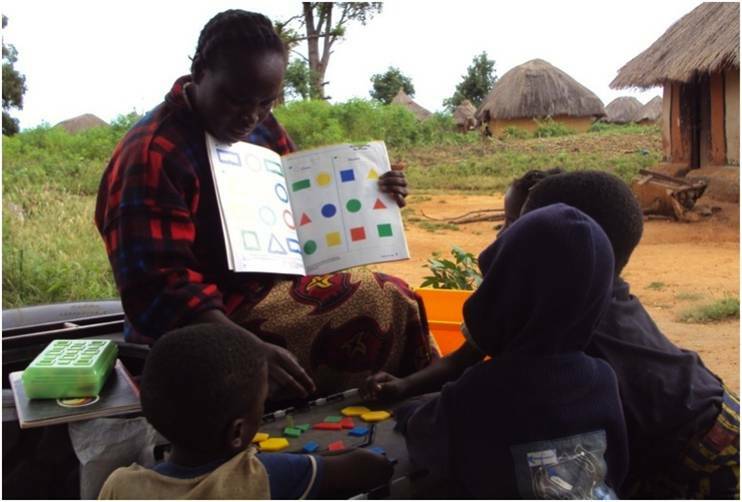 With nothing but a box of preschool material, Ester did not have much to work with, but she accepted the challenge and began teaching a group of young children. Using an old truck tire as a school house, Mama Ester gathers the children every morning and begins by telling them a Bible story. Then, she divides the children into four groups where they can receive some teaching, read books, make crafts, or play with toys. At the end, each child gets to sit with Mama Ester on the tire and talk with her. Throughout the morning, each group rotates stations, and every child has the opportunity to learn, laugh, and be loved. Preschool on a truck tire! Bible story time in Mama Ester’s preschool. Mama Ester’s work is thriving in her community, and the leaders are taking notice. The matriarch of the village, upon visiting Ester’s makeshift school, was shocked to find that these young scholars could read better than her grandchild who had been educated in a government school. Today, Mama Ester’s ministry has grown, and she now is teaching many of the village cattle herders to read. Before they head out to work each morning, many of these farmers visit Ester to receive the education they never had before. Ester is also training new teachers who are reaching out to the surrounding villages with the love of Christ and the gift of education. Ester’s ministry is not complicated, expensive, or extraordinary. But by using the resources she had — which happened to be her mind, an old truck tire, and a box of preschool material — Ester seized the opportunity and plated seeds of love in her community. Ester enjoying the company of some of her bright young students. The Disciple Nations Alliance seeks to raise up leaders just like Mama Ester. By teaching people how to reach out to their communities with the resources they have, the DNA seeks to bring God’s kingdom to the nations. Although Ester has never heard of the DNA, she is a living testimony of how the work of one faithful believer can bring transformation. 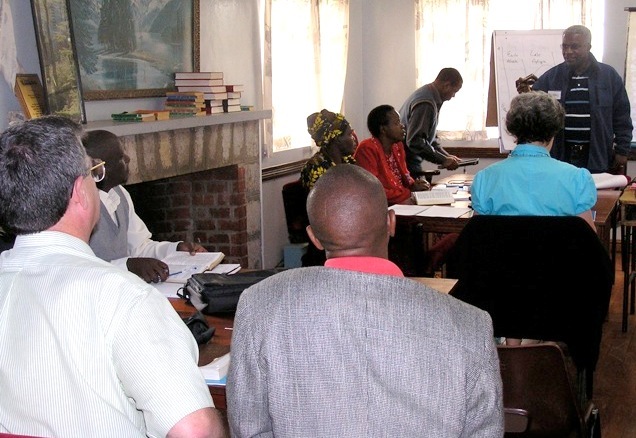 This story was shared by Johannes Aucamp, a DNA trainer who serves and trains African pastors, helping them develop into Christ-like servant leaders who bring transformation and glory to God in their communities. 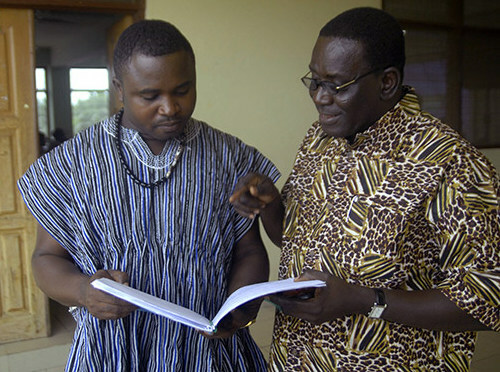 He works as part of Training of Pastors in Africa (TOPIA). E-mail him at johannes@topia.org.za, and follow TOPIA on Facebook and Twitter (@TopiaMinistries)! The kingdom of God is a mysterious but central aspect of the Christian faith. Hein van Wyk, part of DNA’s Global Leadership Team and an excellent teacher, gave perhaps the most thorough explanation that we have seen of the kingdom of God at the 2013 DNA Global Forum in Brazil. Here, you’ll find his presentation in two parts. Please watch and share with your friends and colleagues! Possessing the Kingdom (Part 1) by Hein van Wyk from Disciple Nations Alliance. Possessing the Kingdom (Part 2) by Hein van Wyk from Disciple Nations Alliance. Hein van Wyk’s passion is Christ and the establishment of His Kingdom in every area of life. For the last 17 years, he has facilitated Kingdom development as it relates to leadership formation, collaboration initiatives, community upliftment, mission mobilization and strategic planning. He has been a conference and motivational speaker on topics that include worldview, transformational development, missions, prayer and partnership. Hein resides in South Africa and ministers nationally as well as internationally. In addition to serving on the DNA’s Global Leadership Team, he works from the platform of Hope for Africa Strategic Alliances and serves as Samaritan Strategy Africa‘s regional coordinator for southern Africa, as well as Africa director for both Churches Together and Experience Mission. Hein is married to Helene and has three children: Jannandi (24), Heilene (20) and Daneiko (13). 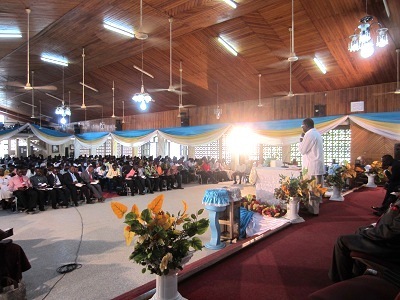 Vision Conference coming up in South Sudan, May 2013. Join us! All are invited to a DNA Vision Conference to be held in Rumbek, South Sudan at the end of May. These conferences have a history of sparking life-changing vision, new ideas and partnerships. Please join us and pass this on to anyone who might be interested! 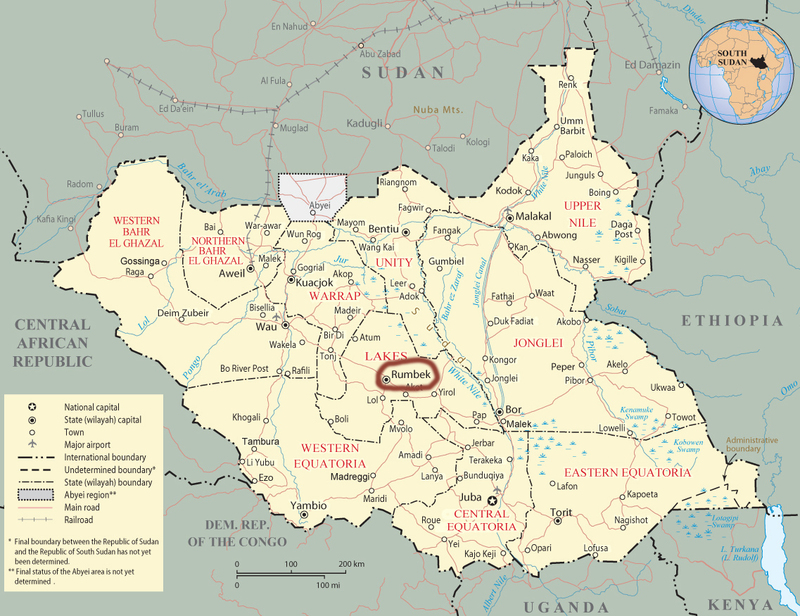 The Republic of South Sudan became an independent nation on July 9, 2011. 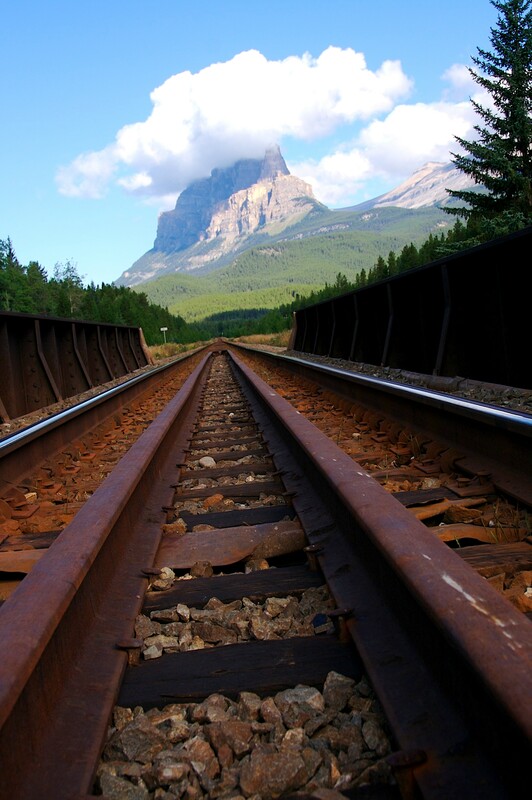 What tangible impact can words of truth have on a broken society? 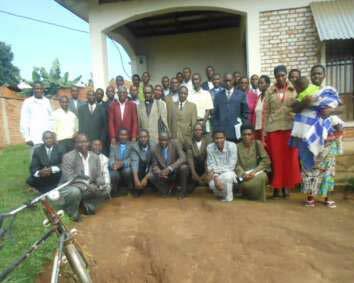 As the recent DNA Vision Conference in Rutana, Burundi showed, the words of Scripture can begin to bring about community transformation. Burundi, in East Africa, is a poor nation known for witchcraft, sorcery, alcoholism, and HIV/AIDS. In Burundi, about 65 percent of the population lives in poverty, and the life expectancy is only 54 years of age. 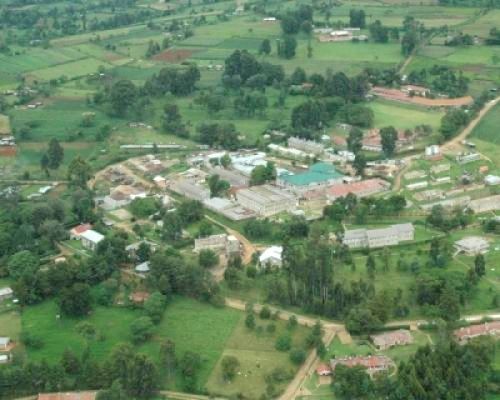 Despite these unfavorable circumstances, the land is fertile and with over 60 percent of the people living in the rural areas, there is great potential for community development. 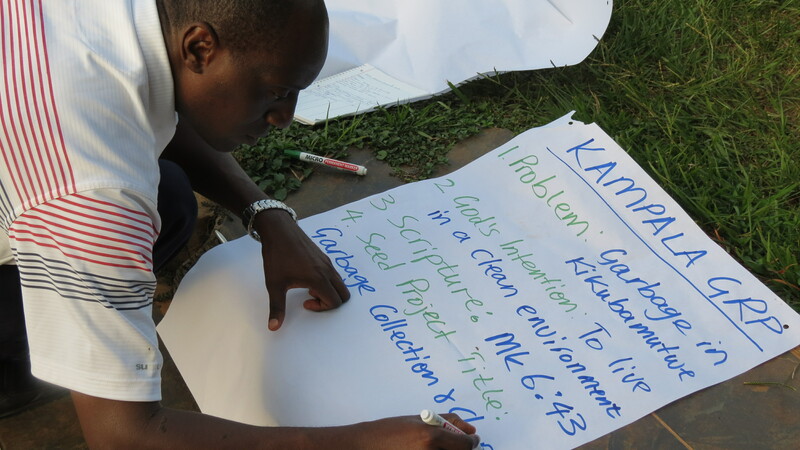 Christian organizations like the Disciple Nations Alliance and Harvest Foundation have organized Vision Conferences in Burundi to begin healing the brokenness. 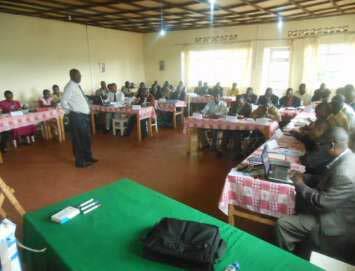 Through these conferences, indigenous trainers use the teachings of the Bible to train local pastors in wholistic transformation. 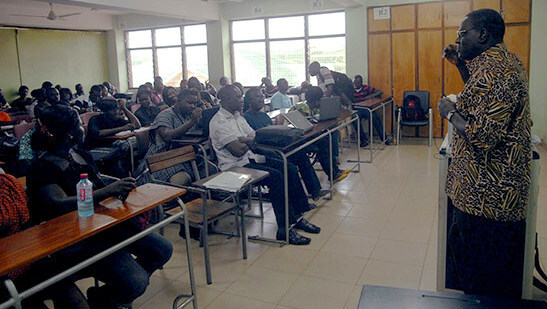 In 2005, the General Chaplain of the Burundi Police, Canon Onesime Nimbeshaho, attended his first DNA Vision Conference. Since then, his heart for wholistic ministry has led him to be involved in several training events and to head up the recent Vision Conference in Rutana. Forty-one participants attended this conference and, afterward, many said it was the most beneficial conference they had ever been to because it gave them practical, hands-on advice on how to bring healing to their nation. “Other seminars give us theoretical knowledge, but this Vision Conference has touched theoretical and practical issues to help us to solve problems in our communities,” said Pastor Pontien Ribakare of the Anglican Church. The Vision Conference encouraged the participants to put the teaching into action by doing Seed Projects in their local villages. A Seed Project is a small, church-initiated outreach that allows Christians to identify needs in their communities and practically help meet those needs using their own resources. The goal is for Seed Projects to become ongoing initiatives working to bring wholistic restoration. As these Christians begin to practically show Christ’s love to their communities, pray for the restoration of the province of Rutana. Pray that the Church would begin to make positive impacts in every area of society. Finally, the Pastors of Rutana are virtually illiterate when it comes to understanding the Bible, so pray that God would raise up more educated people to train the pastors and further this ministry. DNA is a family of associate ministries, and one of those family members is Harvest. 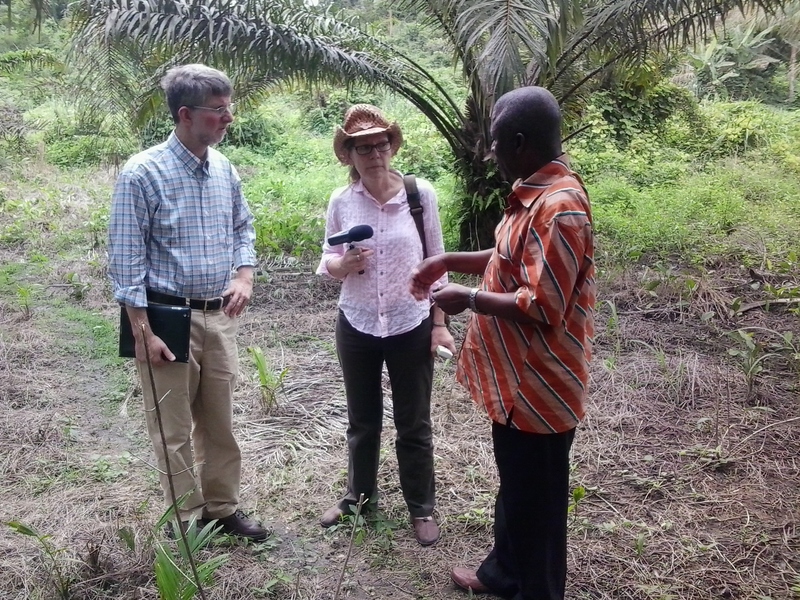 Harvest staff member, Chris Ampadu, also serves as DNA coordinator for West Africa. In recent months, God has opened many doors for him to share the biblical worldview with the staff of Mercy Ships, a Christian organization that brings healthcare–aboard giant ships–to those most desperate for it. On February 17, U.S. television network CBS aired an excellent segment on Mercy Ships. Click here to watch the full segment. The ministry of Mercy Ships extends far beyond the physical realm. Last year, Chris Ampadu began training hundreds of people in the biblical worldview through this ministry. Mercy Ships crew members, local government officials, pastors and church leaders have received biblical-worldview training through this fruitful partnership. The majority of those trained have been from a Muslim background, making this collaboration even more exceptional. In the months to come, watch for more stories about Chris and his partnership with Mercy Ships! 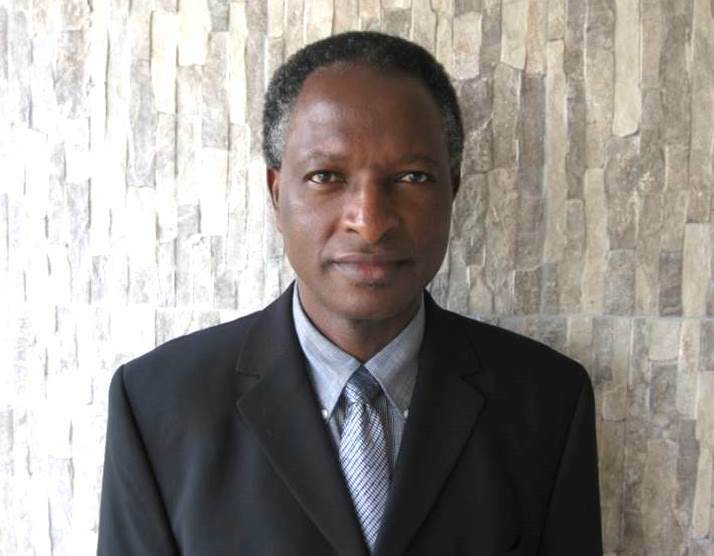 Last week, World Magazine released this year’s finalists for its prestigious Hope Award for Effective Compassion, and we were so excited to see the work of Chris Ampadu, West Africa Coordinator for Samaritan Strategy Africa (SSA), selected as the only international ministry on the list! Chris, a native of Ghana, was one of the first DNA trainers in Africa. After attending a Vision Conference in 1999, he walked away from a successful business career to be mentored by DNA co-founder Darrow Miller. 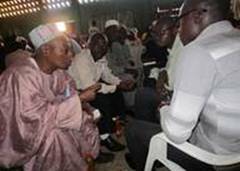 He has been a highly effective trainer and mentor of church leaders in West Africa since. Today, Chris serves on staff with Harvest. 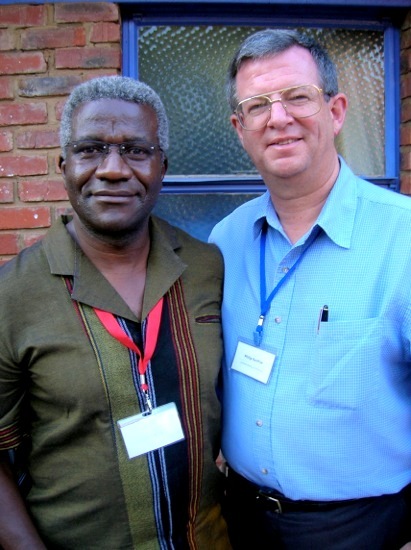 Chris (right) is on the leadership team of Samaritan Strategy Africa. SSA and DNA share the same mission: To encourage, prepare and equip local churches with a Christian worldview (mind-set) to carry out wholistic ministry in their communities. These African leaders offer a shining example of DNA’s prayer to see local believers catch a vision for their communities and run with it in a way that multiplies impact. The Hope Award began with 200 nominations, from which five finalists were selected. Each finalist received a $4,000 prize, and votes from the public will determine who wins the $21,000 grand prize. World Magazine’s editor-in-chief, Marvin Olasky, and his wife saw Chris’ work first-hand earlier this year. Click here to cast your vote by September 30! DNA is privileged to partner with Chris and SSA, acting as a behind-the-scenes catalyst and supporter for this movement which continues to gain speed. Just a few months ago, three new teams took root in Niger, Benin and Lesotho. If you’d like to vote for Samaritan Strategy Africa to win this $21,000 prize, please do so here. To financially support the spread of a biblical worldview across Africa, give through our website (choose dropdown “DNA’s work in Africa”). If you give $30 or more, we’ll send you a free copy of Against All Hope: Hope for Africa, written conjointly by the DNA and SSA. Indeed, wholistic ministry really is the oldest tool for evangelism–Jesus invented it. But in West Africa, where “open-air crusades” have been a preferred method for so many generations, today’s Christian leaders are discovering the power of extending Jesus’ love to the whole person, operating from a biblical worldview. “The reception to our message was just overwhelming, and participants called for more time since it has been just a day’s vision casting,” says Chris Ampadu, a DNA partner working in Ghana. a mentorship program for Christian professionals from six countries. an annual Wholistic Club meeting with 10 leaders, each of whom has 30-60 members demonstrating God’s love in profound ways at the grassroots level. presentations on wholistic ministry to more than 800 evangelistic leaders, followed by new plans for a four-day Vision Conference. “A church elder from Katanga said [the church’s] demonstration of love to the needy and poor has shocked many people in the village such that two Moslems and three animist women have joined the club, saying they have never seen poor people coming out of their poverty to show such compassion and love,” Chris says.